Vin is a member of Nous Group’s finance team and is responsible for delivering the accounts payable and providing finance support for the business. Support team members and internal consultants to prepare the company’s internal and external reports. Prior to joining Nous, Vin worked as a bookkeeper and payroll officer for a catering business. Vin holds a Bachelor of Commerce (Finance) from the University of Canterbury, New Zealand, Master of Commerce (Finance) and Master of Professional Accounting from Deakin University. 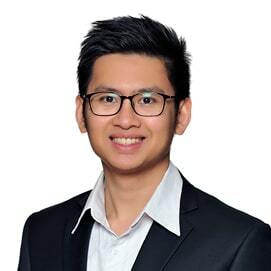 Vin is currently working towards becoming a fully qualified member of CPA Australia. Vin has a strong passion for photography and enjoys traveling and learning about new technology. He is a regular indoor soccer player, and keen observer of his home country’s political issues (Cambodia).